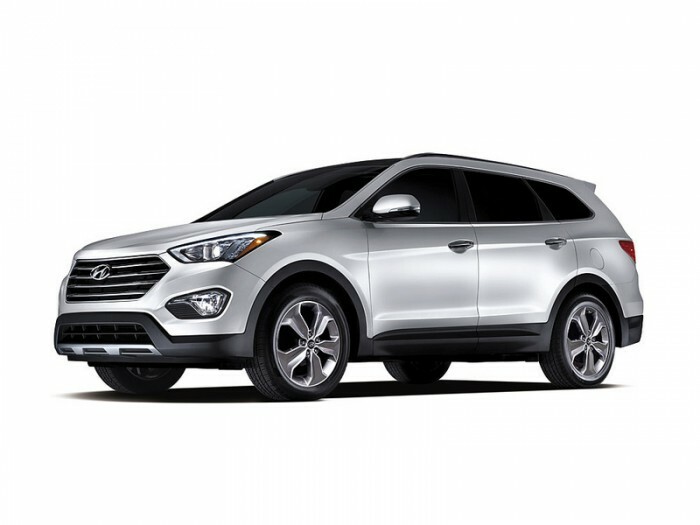 During the 2014 Chicago Auto Show and the MotorWeek Drivers’ Choice Awards ceremony, Hyundai’s hot-selling Santa Fe was named Best Large Utility Vehicle for its ability to get drivers and their families from point A to point B in optimum comfort and style. The annual awards are handed out by MotorWeek’s esteemed judges based upon the caveats of price practicality, performance, and fuel economy. The 2014 Santa Fe’s victory distinguishes it from its competition and adds to a trophy case that already includes the 2013 GOOD DESIGN™ Award, ALG’s Residual Value Award for midsize utility vehicles, and the 2013 CUV of Texas Award. MotorWeek cited the Santa Fe’s affordability, roomy interior, abundant cargo space, and copious technology as causes for its Best Large Utility Vehicle victory. The Santa Fe offers features such as blind spot detection, rear parking assistance, and anti-lock braking to assuage families looking for a comfortable family hauler that provides peace of mind. For more news out of the 2014 Chicago Auto Show this week, as well as for more about MotorWeek’s Drivers’ Choice Award winners, check in with us here at The News Wheel in the days to come!